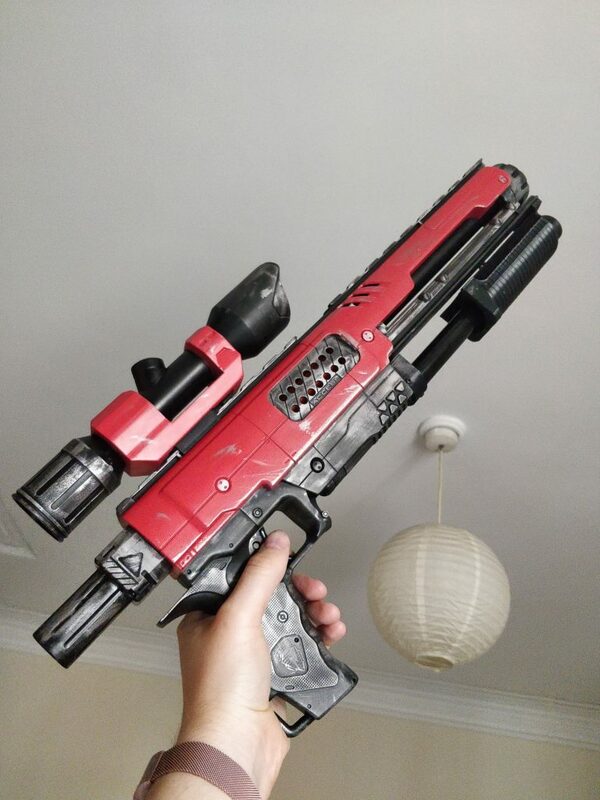 A couple of months ago I stumbled across my old NERF Raider. I got it back in 2009 when I started as an undergraduate. The Raider is fairly pants now as NERF blasters go, but I figured it’d be a cool modding project! 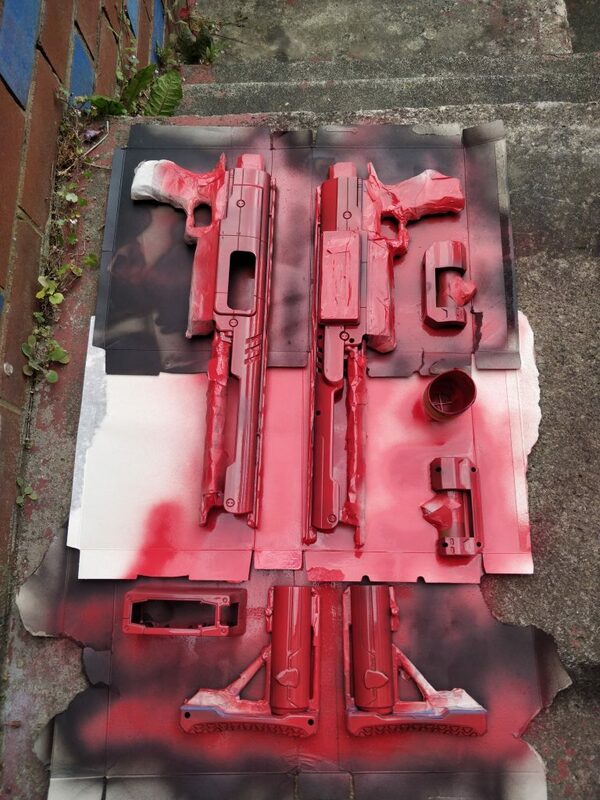 I wanted to do a vaguely videogame-inspired paint job (a lá Mass Effect, or Borderlands), and I think it came out really well in the end. 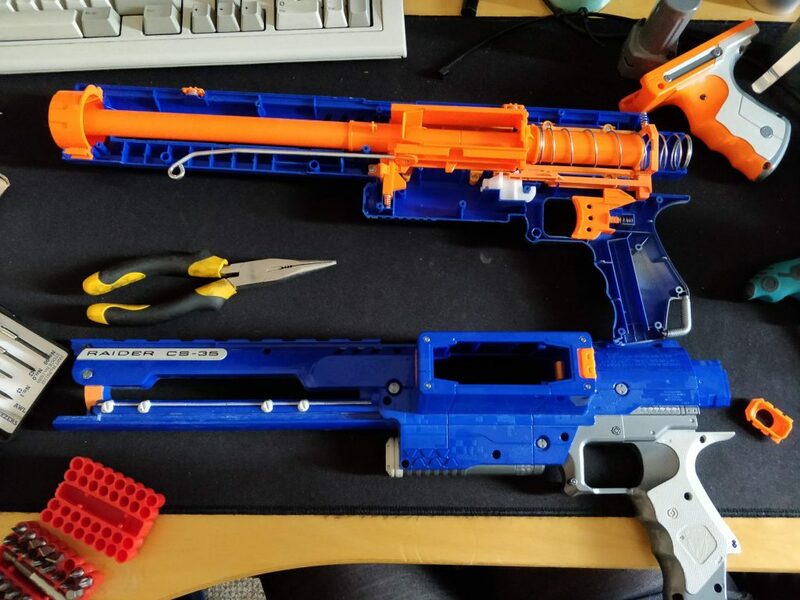 First step of Nerf modding: disassembly! I took the Raider apart and sanded all the external surfaces to prepare for the undercoat. Paint job in progress. I masked off my black matte base coat and applied 3 layers of satin red for the accent. 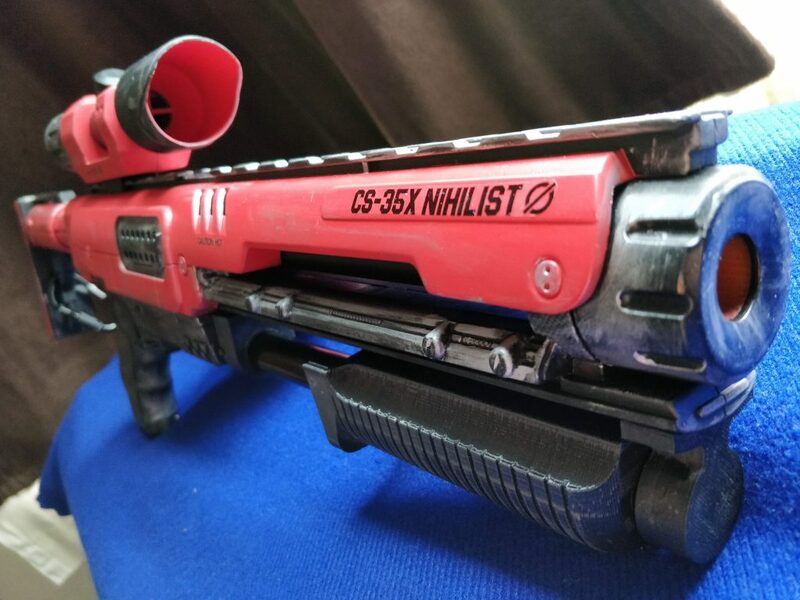 The main body of the blaster. 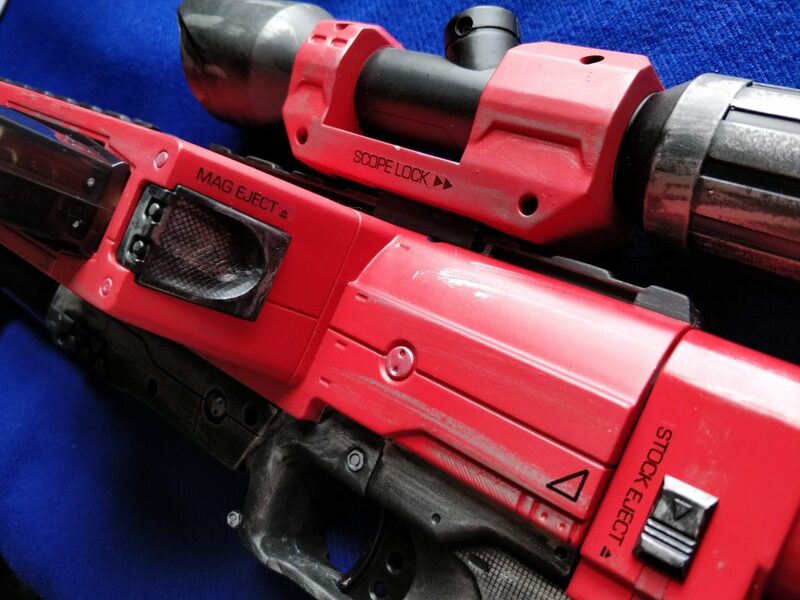 I added the scope, which was sold separately, after watching Adam Savage’s NERF mod video on the Tested youtube channel.. The finished Raider paint job. I used some Rub’n’buff (pewter) to weather the paintwork. Applying the decals! I used water-transfer inkjet paper to print my custom decals. Decals applied to main body, scope and stock. Looking mean! 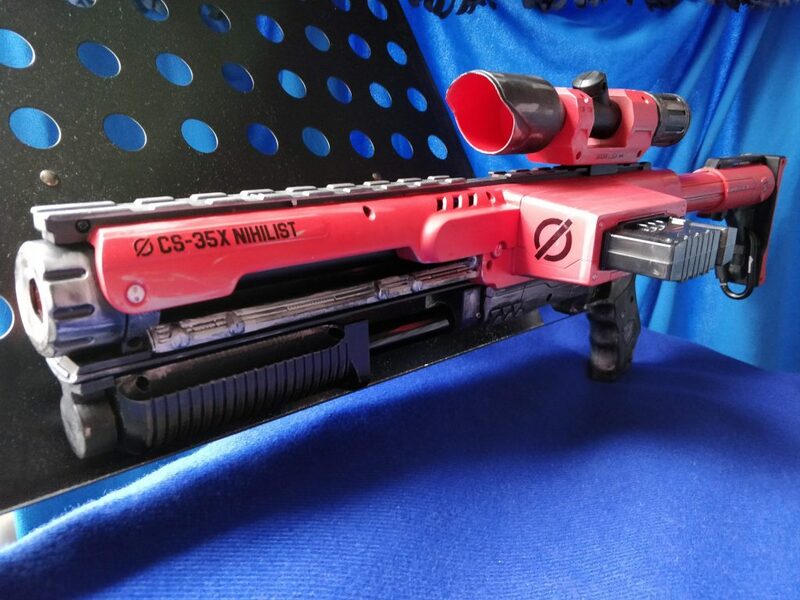 This photo shows the custom 3D-printed pump-action grip I ordered. I named it the “Nihilist”. The logo on the side of the stock entryway is the empty set symbol, ∅. 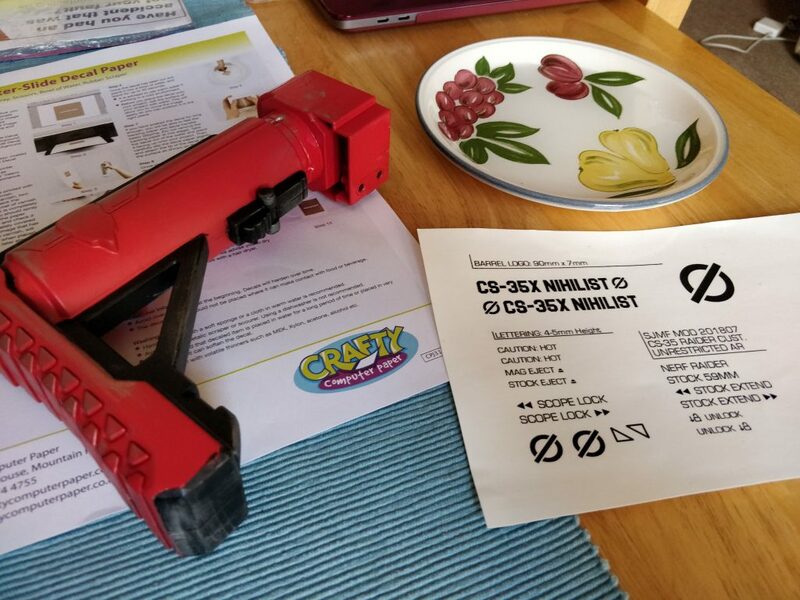 I used Plasti-kote 3101 in Matt Black for the base coat, and Plasti-kote 22106 Real Red Satin for the top coat. Weathering was the best bit– liberal application of Pewter Rub N Buff provided the gunmetal effect. I did mod the internals but the larger spring ended up breaking the plunger system, so I’ve made do with removing the air restrictor for the finished version. Overall, I’m really happy with how it came out in the end!